335 Commercial Real Estate and Properties in Brisbane are listed in 9 categories. We have 2100 Offices for Sale & Lease , 1803 Industrial Warehouses for Sale & Lease , 1359 Retail Shops for Sale & Lease , 331 Development Lands for Sale & Lease , 331 Medical and Consulting Properties for Sale & Lease and 297 Other Commercial Properties for Sale & Lease . Features: Secure fenced site 11,765sqm of useable land Filled and compacted Corner site Excellent access to the airport Transforming Pinkenba precinct Ready to develop (STCA) Location: The subject site is located on the corner of Main Myrtletown Road and Lomandra Drive, Pinkenba. Lomandra Drive leads directly to the Brisbane Airport while Main Myrtletown Road leads to Kingsford Smith Drive offering easy access to the Brisbane CBD, Inner City Bypass and Gateway Motorway. Pinkenba is recognised by the market as one of Brisbane's premier industrial suburbs and has recently been bolstered by the approval of the new cruise ship terminal at luggage point and the improvements to Kingsford Smith Drive. For further information please contact the marketing agents from Ray White Commercial (QLD). 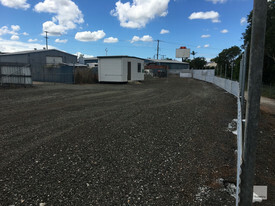 1,000sqm 1,500sqm hardstand Compacted gravel base Fully fenced and gated Rare affordable yard Close proximity to the Gateway Motorway, Port of Brisbane Motorway Murarrie Train Station Priced to lease, won't last long! Lease Price: $25/sqm + Outgoings ($3.96 /sqm) + GST For further information or to arrange an inspection please contact the marketing agents Jack Gwyn or Jared Doyle of Ray White Commercial TradeCoast. The subject property provides for 4,285sqm of high exposure and totally cleared land in a key location linking the Bruce Highway to the Redcliffe Peninsula. With in excess of 20,000 passing vehicles per day, the site lends itself to a variety of potential uses. The site is currently improved with a boutique chapel, caretakers residence warehousing and extensive hardstand. Expressions of Interest close 4pm 7 March 2019. Please contact the selling agents Michael Shadforth on 0488 981 076 or Jordan Hayes on 0417 999 331 for further information. bull; Land area 2,418m2 bull; DA featuring 60 apartments and 85 bedrooms bull; Zoning Medium Density Residential' bull; Located between Brisbane the Gold Coast bull; Beenleigh to Brisbane CBD: 32km bull; Beenleigh to Gold Coast: 36km Approx Disclaimer: Ray White has not independently checked any of the information we merely pass on. We make no comment on and give no warranty as to the accuracy of the information contained in this document which does not constitute all or any part of any offer or contract by the recipient. Prospective purchasers / lessees must rely on their own enquiries and should satisfy themselves as to the truth or accuracy of all information given by their own inspections, searches, inquiries, advices or as is otherwise necessary. No duty of care is assumed by Orchid Avenue Realty trading as Ray White Surfers Paradise Commercial divisions toward the recipient with regard to the use of this information and all information given is given without responsibility. 130 132 Anzac Avenue, Hillcrest is in the Specialised Centre Zone Low Impact Office Precinct. Under the current Logan Planning Scheme there are multiple choices of land uses for this property. 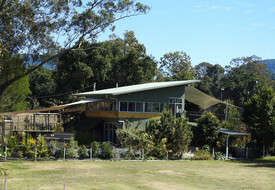 Situated on a Main Road with 30.5 M frontage, it gives the advantage of good street exposure and the opportunity to create your dream business here, such as: Caretaker Accommodation Childcare centre Community care centre Educational establishment Emergency services Health care service Place of worship Veterinary service and many more. 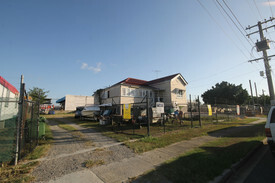 Currently there is 4 bedrooms, 1 bathroom house in original condition, big shed at the back and good side access. For more information please contact the listing Agents. Margarita Bianco: M: 0402 429 902, D: 07 3373 9856, E: margarita.bianco@yong.com.au Address: 130 132 Anzac Avenue, Hillcrest. Inspections: By private appointment only. Price: Expression of Interest. Development Site On Morayfield Road Call Now For Latest Prici.. This 5 year new mansion has 450m2 of spacious floor area with 6 bedrooms & 5 bathrooms, which sits on prime acreage subdividable land zoned R600. This is located right in the middle of multiple newly completed beautiful developments. The adjacent property has been subdivided into 6 blocks with new houses already been built. There are several development options suggested by the local accredited town planner, one option is to subdivide into 5 blocks with a block to have this existing mansion and heated pool as shown in the picture, or townhouse potential. Major arterials, shops, schools and public transport are all within very close proximity, this is an opportunity not to be missed. Some of key features are as follows: A grand new mansion comprises 6 bedrooms with all en suite, including a huge master bedroom. 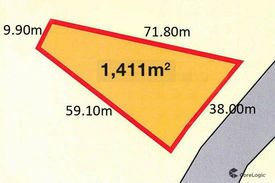 Land development chances, eg subdivision or townhouse, subject to Council approval. The next door property has been subdivided into 6 blocks with new houses already been built. Front yard is 600m2. Huge floor area 450m2 Two fully functional open kitchens for possible dual living on downstairs and upstairs 3 large living areas Full ducted air conditioning/heater Back to base full alarm system Fully fence around the property and auto gate block fence Fully wired Intercom on ground and first floors. Solar heated in ground pool with spa Solar hot water system Solar panel electricity Internet NBN service Buyers can purchase the property for self occupied and enjoy an acreage lifestyle while awaiting further land appreciation in years to come. Take action quickly as this kind of opportunity won't last long! Note: All information contained herein is gathered from sources we consider to be reliable. However we cannot guarantee or give any warranty about the information provided and interested parties must solely rely on their own enquiries. Ray White Commercial Corridor Group are pleased to offer for Lease, 485 Zillmere Road, Zillmere. 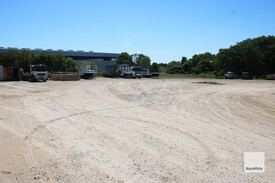 This 2,000m2 Yard features: General Industry Zoning Dry Level site with road base B Double access 500m2 warehouse also available Close to Arterial roads Located within Zillmere's industrial precinct approximately 13 Kilometres from Brisbane's CBD and minutes from Northern Arterial Routes. The property allowing good access to all arterial roads. For further information please contact the agent listed. Queenslands Best Motorway Retail Site, Dont Miss Out! Eoi Closing Friday 26th April 2019 For Lease -EOI Closing Fr..
Da Approved Site Seeking Offers Above $2,0..
Ray White Commercial Northern Corridor Group is pleased to offer 217 First Avenue, Bongaree for Sale. 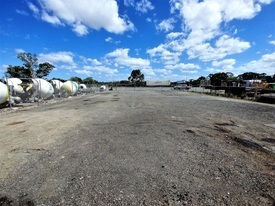 FEATURES: bull; 1,017m2 Industrial Lot bull; Fully fenced bitumen hardstand bull; 125m2 warehouse with air conditioned office bull; 75m2 car port bull; Kitchenette toilet facilities bull; On site car parking bull; High Exposure to First Avenue bull; Adjoining 1,017m2 lot available as well For further information or to arrange an inspection, please contact Chris Massie. 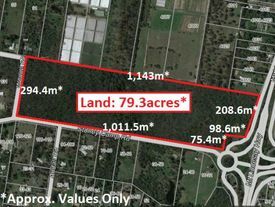 Strong land size holding of approx 2,883m2 120 child places approved Potential revenue $2.7million per annum ($90 per child per day) Positioned in heart of Deception Bay Captive residential surrounding Deception Bay is a suburb (State Suburbs) in the Moreton Bay Region, lies approximately 30km north of Brisbane, adjacent to North Lake. In the 2016 Census, there were 19,850 people in Deception Bay . Of these approximately 6.9% (1,378) were kids under 4. Moreton Bay Region is expected to increase by 240,000 residents by 2041 to a total resident population of approximately 690,000, this represent more than a 50% increase over 25 years from 2016. By Comparison, it is projected that by 2031, Moreton Bay Region will have a larger population that the State of Tasmania.